Please Note: For new clients or if more than 12 weeks since your last colour service with us, a skin test must be carried out. In accordance with colour manufacturers, all skin tests must be carried out 48 hrs before colour appointment. To bring the true beauty of your cut and colour it is vital that your hair is in optimum condition. We offer treatments to cater for all hair ailments to restore the balance and leave you with beautiful shiny, healthy hair. Discover effortless Blowdrying, long lasting silky smooth frizz-free hair for up to 12 weeks! The revolutionary Nanokeratin System professional hair treatment is suitable for all hair types, this treatment will infuse your hair with nano-molecular Cashmere Keratin particles to redefine the natural state of your hair, improving condition and allow your locks to return to a healthy, sleek appearance. Please allow 2 – 2.5 hours for your first visit, followed by 45 - 60 minutes for your second visit three days later. After your second visit, you will receive a complimentary shampoo and conditioner to maintain the longevity of the therapy. Gatineau’s 90-minute advanced anti-ageing skincare treatments combine breakthrough technology, cutting-edge formulas and unique massage techniques to provide instantly visible results. Designed with guest well-being as a priority, all of our Expert Facials feature a relaxation ritual, specific draining stimulation to the eyes and face and a soothing massage to the face, shoulders and hands. Treat your skin with this exclusive wrinkle-cure facial designed to diminish lines and wrinkles. Using our 100% marine collagen mask, this treatment smooths the skin, boosts elasticity and restores luminosity for an instantly younger-looking you. Targeting lines and wrinkles, this energising facial plumps and smooths the skin. Using Gatineau’s exclusive youth activating molecule, Mélatogénine, combined with our anti-fatigue Filmomasque, this treatment recharges tired skin, restores radiance and smoothes fine lines and wrinkles. 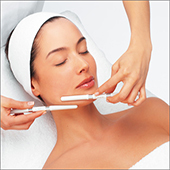 This facial targets the visible signs of ageing for younger, firmer, smoother looking skin. Using Gatineau’s ultra-concentrated Defi Lift 3D ‘Lift’ Mask, together with sculpting wands, skin is lifted and firmed and the complexion is brightened for a noticeably younger appearance. Recharge and detoxify dull, tired and stressed skin with this powerful, vitamin-enriched facial. Ideal for skin that has been exposed to environmental stress, our treatment is rich in anti-oxidants which deeply moisturise and nourish the skin. 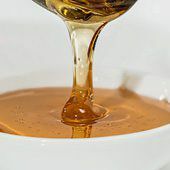 The complexion is brightened, texture is refined and skin is left feeling soft and supple with a healthy-looking glow. Gatineau’s 60-minute skin solution facials use high-performance products and precise movements to give visible results that last. Designed with guest well-being as a priority, all our Essential Facials feature a relaxation ritual and a soothing massage to the face, shoulders and hands. This all-encompassing treatment begins with a full body exfoliation to cleanse and invigorate the skin followed by a relaxing massage to melt away tension. Our Gatineau massage therapy leaves the body and mind relaxed and refreshed. Especially designed for male skin, to cleanse condition & relax. The alternative to cosmetic surgery and the exclusive combination of Micro-currents, Ultrasound and LED futuristic technologies, for dramatic visible results after just 1 treatment. Tailored expert solutions dedicated to individual skin concerns, CINETIC™ treatments truly deliver the ultimate results in correcting, lifting and firming. This exquisite luxurious treatment uses unprecedented products which contain a fusion of plants and Diamond to stimulate cell renewal and prolong the youth of the skin with a new lease of life. Intensely transformed, skin is deeply regenerated and visibly flawless and firmer, with ultimate clarity and luminosity. A truly unforgettable experience. Harnessing Duo Pearls™ technology within a luxurious professional mask, powerful anti-ageing ingredients leave the complexion visibly firmer, even-toned and flawless with youthful radiance. Reawaken the skin’s youthfulness and recapture its vitality, with this truly radiance inducing treatment thanks to CARITA’s bespoke anti-ageing massage techniques and Mineral Gold. This comprehensive anti-wrinkle treatment offers a multi-dimensional approach to conquer all types of wrinkles. A smoothing mask helps wrinkles to appear plumped up, as if lifted. The skin is left luminous, radiant, visibly rejuvenated and glowing with health. A deeply relaxing blend of massage techniques combined with renowned anti-ageing products ensuring intensive revitalising results. Immediately the skin appears visibly firmer with radiance and shimmering with youth. This facial, exclusively designed for men, delivers high performance products to help balance the skin leaving it matt, fresh and rested. A targeted refining body programme to visibly improve the appearance of skin quality and texture. Our exclusive CINETIC™ treatment combines three futuristic technologies: Micro-currents, Ultrasound, Luminotherapy and high performance formulas to leave the skin feeling firmer and toned for more defined looking contours. 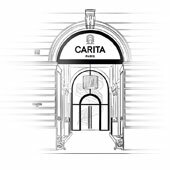 Prior to booking your first CARITA CINETIC™ treatment with us, we will ask you to come in for a consultation with your therapist to ensure that we are providing you the very best service and results, whilst assuring your comfort and safety. Please note that for certain medical conditions we will require written permission from your Doctor to proceed. As the best-known type of bodywork performed today, it is accomplished by rubbing the muscles with long gliding strokes in the direction of blood returning to the heart. Swedish massage is exceptionally beneficial for increasing the level of oxygen in the blood, decreasing muscle toxins, improving circulation and flexibility while easing tension. One of the most relaxing uses of essential oils is through aromatherapy massage as it brings together the benefits of massage therapy and the relaxing, yet therapeutic properties of essential oils. Inhaling the fragrance and via absorption through the skin during massage, essential oils can affect both mind and body, bringing about a wonderful feeling of relaxation, and harmony. Hot stone massage therapy melts away tension, eases muscle stiffness and increases circulation. It promotes deeper muscle relaxation through the placement of smooth, water-heated stones at key points on the body. The premise behind hot stone massage is that the direct heat of the stones relaxes muscles, allowing the therapist access to deeper muscle layers. This treatment has a sedative effect that can relieve chronic pain, reduce stress and promote deep relaxation. Combining massage with luxurious hot and cold stones, this dynamic therapy can speed up the treatment of many musculo-skeletal complaints, bring fatigued muscles back to normal, improve muscle tone and cool down the body on a warm day or during hot flushes. It will help every cell in your body to receive more oxygen and nutrients and encourage rapid removal of toxins to alleviate chronic and acute muscular problems. All natural manicures except the Platinum spa can be carried out in the Hair Salon whilst in the chair. 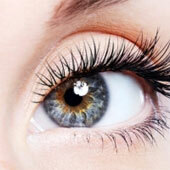 *All tinting treatments require a patch test 24 hours prior to your appointment. Welcome to the new age of waxing! Combining Organic ingredients from Australia’s Coastline and Outback and fusing it with the latest cosmetic ingredients, Outback Organics are able to give you the most efficient and ethical hair removal results to date. Please note that the prices displayed are strictly a guide. 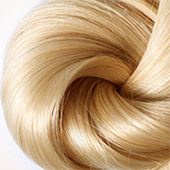 Individual prices vary according to experience and level of Stylist / Therapist & Length of Hair. Cancellations within 24hours / Non-attendance will incur a 100% charge. Complimentary consultations for all our services are available by appointment.